How Do I Update My Computers Video Driver? As you may already know, drivers enable your operating system to make full use of your computer’s hardware resources, including your motherboard, sound card, video cards, LAN, Wi-Fi, and router devices, as well as computer peripherals like cameras, printers, keyboards, and mice, among others. Although you will find plenty of people updating their device drivers as often as they can, whether it’s because they do it out of habit or because they think it’s something that just needs to be done, updating your drivers outside of the regular Windows Update sequence when they are working just fine is just not something that is necessary. For instance, you will rarely find drivers for your motherboard, sound card, or your LAN adapter working better after the update. It’s just more of the same, because there is no room for improvement there. You will only need to update them if they are broken, or if there is some sort of bug that needs to be fixed. Other than that, you are all set. Apart from one exception. The situation is quite different when it comes to your computer’s video drivers, which can provide a significant improvement when it comes to the performance of your graphics card. This is the reason why you will often find gamers talking for hours on end about the latest drivers issued by NVIDIA, AMD, or some other company, and how the latest update affected the performance of their beloved gaming machines. While they might be overdoing it, there are not wrong, because video drivers are constantly being improved by manufactures in order to enhance the performance of their video cards. And it’s not just professional or casual gamers that stand to benefit from this. These days, computers are used not only to play games, but to create them as well, which requires lots of digital rendering. The same goes when creating special effects, 3D design, or drawing. Even photographers who rely heavily on post-production techniques will often require a machine with powerful graphics. Basically, any sort of application that relies intensely on the power of your graphics card stands to benefit from the latest driver update. The process of identifying your graphics card is pretty straightforward, which means you should avoid using third-party applications for that, because Windows can do a good enough job itself. In order to check out which GPU is installed on your computer, you need to access the Device Manager, which you can easily locate by opening the Start menu, and then typing in Device Manager. You will be presented with a detailed list of all the devices which are present on your machine. Click on Display drivers in order to expand the list and receive more information, including the manufacturer and model of your GPU. If you have a laptop, it is very likely that you will have two GPUs installed. For instance, you may find Intel graphics on your motherboard, which will be used when you want to extend battery life, and a separate GPU, either NVIDIA or AMD, which will be active when better performance is required. 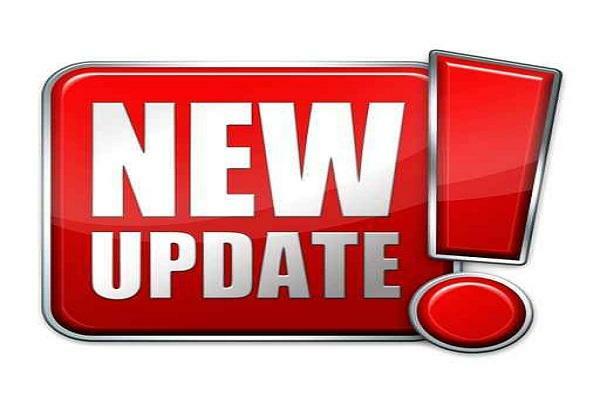 You can update your video card driver by right-clicking on the name of the card and choosing Update Driver Software. If you choose the first option, Search automatically for updated driver software, it will let Windows locate the appropriate driver. However, you will find that search does not return good results very often, and even if it does find the drivers, you have no way of actually knowing if they are the best ones available. If your GPU is manufactured by NVIDIA, go to http://www.nvidia.com/Download/index.aspx?lang=en-us and locate the drivers automatically through the website. You may be informed that your drivers are up to date or that they need updating, or you may be told that the automated search had failed, in which case, you need to search for the appropriate driver manually. If your GPU is manufactured by AMD, go to http://support.amd.com/us/gpudownload/Pages/index.aspx and choose the Automatically Detect and Install option which is located on the right side of the window. Again, as described in the previous paragraph, if the search has managed to find your card, it will tell you that your GPU driver is up to date or that it needs to be updated, or it will tell you that the scan wasn’t able to find the appropriate driver. If that’s the case, you will have to choose your own GPU model from the list and search for the driver manually with the help of their five-step guide, which is actually the best way to do it. When you are looking for video driver updates, there are several things you should always keep in mind. First of all, you should be really careful when using third-party utilities and apps which claim to be able to always find the latest drivers available, as lots of these are crammed full of spyware. Don’t dismiss them right away, because there are some good programs of that type out there, but proceed with caution. Also, never use Google to find driver updates. The best course of action would be to always check the manufacturer’s website, because you will be completely safe downloading anything from there, while the same certainly cannot be said for other locations. Last, but not least, if you are using an older GPU, you should know that manufactures won’t provide new updates indefinitely for every model they have ever put out. They will provide new drivers and support for a certain period of time, after which they will stop further optimization and updates. You don’t want to get stuck looking for new drivers when there aren’t any, or clicking on unreliable link offering you the drivers that you are looking for, but which aren’t really there. Be smart, be safe, and look for drivers on the official website, and nowhere else.